Pegs are essential for keeping wet clothes and towels attached to the lifelines in a blow. But most domestic clothes pins just are not up to the job on a boat (not strong enough, rust, break). We found reasonable ones that worked OK but then our boat visitors sent us the ULTIMATE high tech, all stainless, ITALIAN, extreme clothes pins. These are so fantastic that if we drop one in the drink we get out the snorkel gear to get it! When we first got to Fort Lauderdale, sailing guru Pam Wall came by to check out Genevieve and mentioned that if she were we, she would get a bigger and better anchor to give us peace of mind on our intended travels. We took this to heart and after much research we settled on a Mantus 105 lb stainless monster. We are so happy we made that upgrade, because as soon as we got to the Bahamas in our first season, we found ourselves in some quite exposed anchorages, buffeted by wind and waves. But “Pam the Anchor” held fast and has always dug in deep without any fuss. 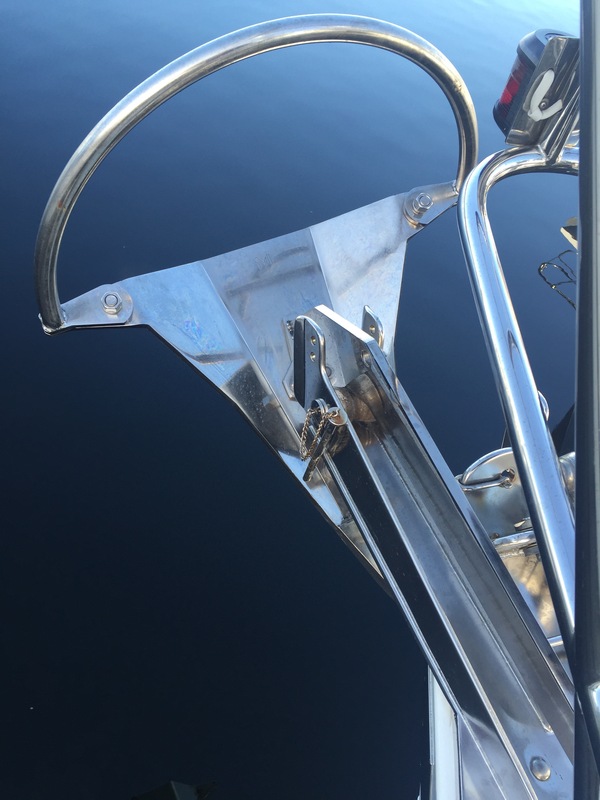 The anchor seemed too big at first, towards the top end of the size recommendation for Genevieve…but we don’t think that anymore, having realized what its like to rely on the ground tackle on a dark and stormy night. We believe that many of the new generation anchor brands are pretty similar, but for us, Mantus, with excellent customer service, was a very good choice. And Pam gleams in the tropical sun! Everyone knows, life is all about good lighting! 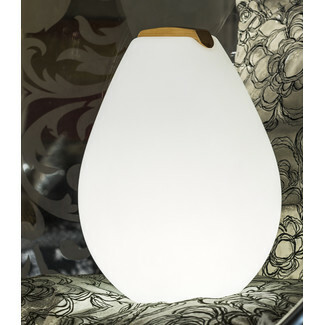 A home is not a home without perfect lamps, the most sublime patio lanterns, subtly lit pond or pool. But sailboats often miss out on this. Oh, the big boats may have backlit names and color changing underwater lights–even some that change with the music–but that’s just gauche. But we wanted to spend our evening hours in a warm, subtly lit cockpit. Candles are useless (blow out, blow up), battery-operated lanterns too dim and/or too Home Depot, fairy lights just too hippie. But flipping through DWELL we came upon Smart & Green VESSEL S lanterns. They are very mod, very weather-proof and very, very chic. They sit on a base during the day and recharge themselves (using almost no power we might add) and at dusk are ready for 8+ hours of service. You can choose among about 10 colors, candle flicker mode or (tacky) color-cycling mode. We generally choose the muted off-white color, but go crazy with red and green at Xmas and lilac at Easter! St Patty’s Day, forget it! They can stand on a flat surface or invert and hang upside down. Not easy to find on-line but in the US Lumens Lighting has them. Be careful, the very similar sister lantern called VESSEL (without the S) is quite a bit larger and probably too big for a boat…we have these at home.